The Mixellium continues the design language of RMH that was unvield with The RMH Mixellent on 2007 on Agritechnica. The cab’s wind shield is angled and leans forward,giving the machine aggresive look as pushing forward as a bull. The machine apears with two colors, makes it more sophisticated style and more elegant,the shapes all around are flat and the hilights are sharp. so making this angled glass avoids the dirt falling on it and stick on it, when digging on 5 meter height. The Mixellium was designed after the Mixellent,the idea was to make a strong and smart machine but much less expensive. This has been achieved using sheet metal panels and smart cab design,that provides less hands work. The Mixellium is an upgraded Self Propelled feeder of the VSL line. The machine is available at 14m3, 16m3, 18m3. In addition to the VSL- features, the Mixellium is installed with a computerized system for controlling the mixture process, maneuvering and driving procedures. The mixer has a new cabin with a computer screen that enables easy operation of all the mixer’s functions. A sophisticated loading system with the ability to load the TMR in the fastest time and with the most improved mixing quality. The Mixellium is a modernly designed mixer with a computerized system for economy energy consumption. 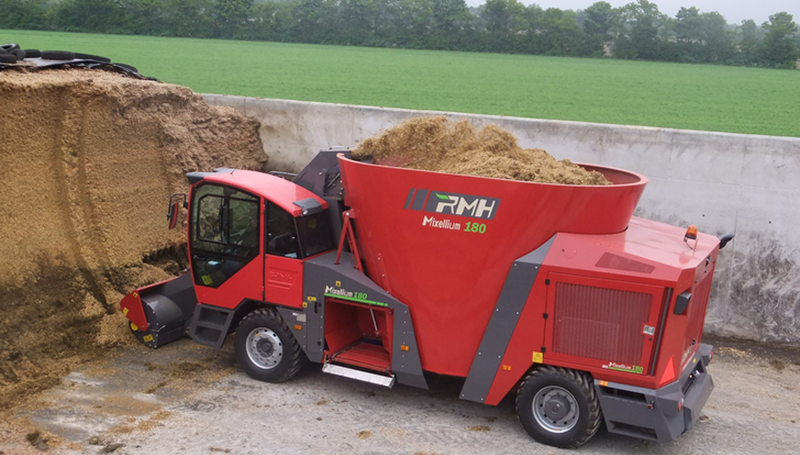 The fuel consumption in the Mixellium is about 12 liters per working hours when the loading and discharge is in average about 15 to 20 minutes. 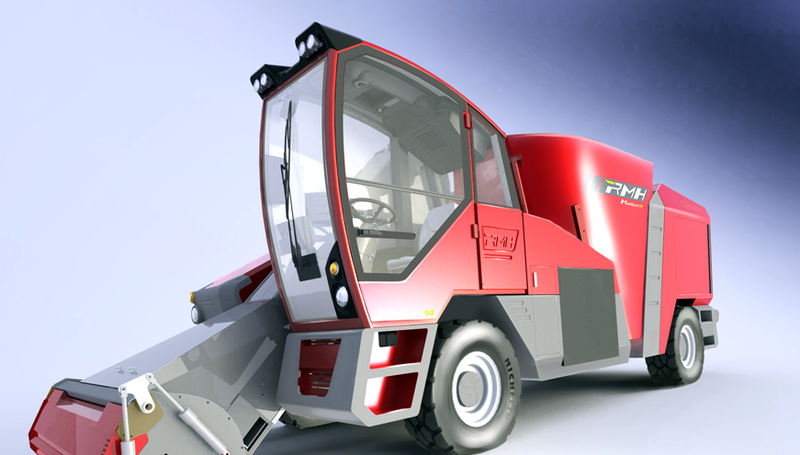 The mixer is designed mainly for medium to large dairy farms, for feed contractors which prepare the TMR for a few dairy farms and need to travel long distances to cooperatives that distribute the food to a number of farms while driving many kilometers each day. The engine is mounted on the back of the machine which substantially reduces the noise in the cabin and thus enables comfortable operation for a number of hours. The mixer has easy access to the machine’s systems for easy maintenance.